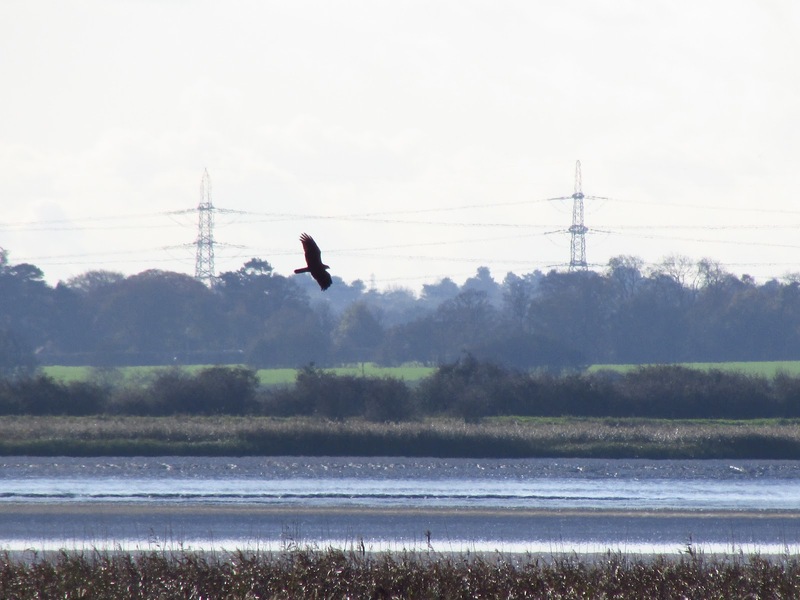 From the train to London on Friday morning I spotted a Marsh Harrier flying over the reed beds just north of Brough. 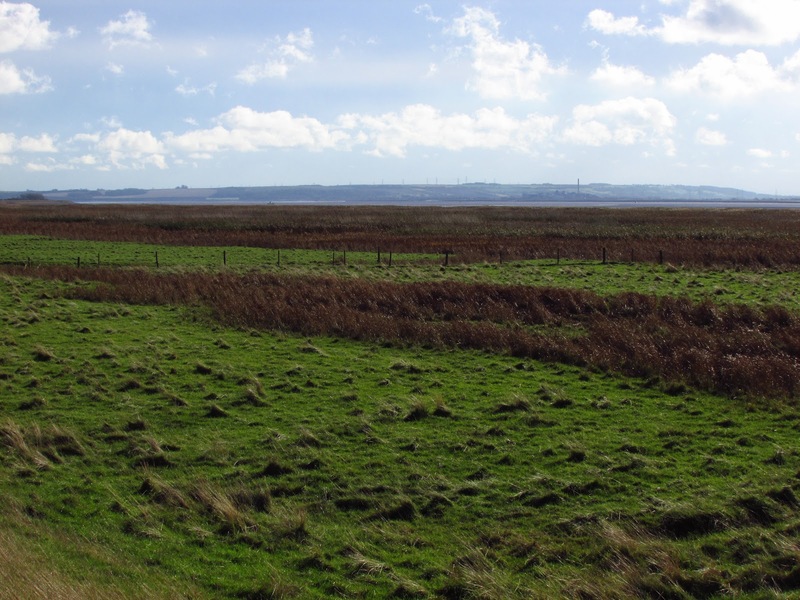 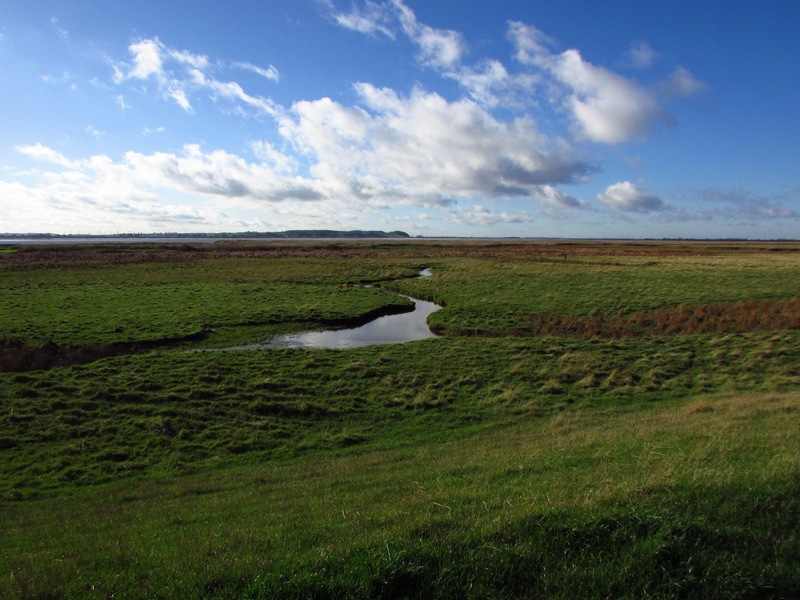 So I planned a walk today between Brough Haven and Crabley Farm, a marshy area traversed by Crabley Creek, lying between the Humber and its bank. 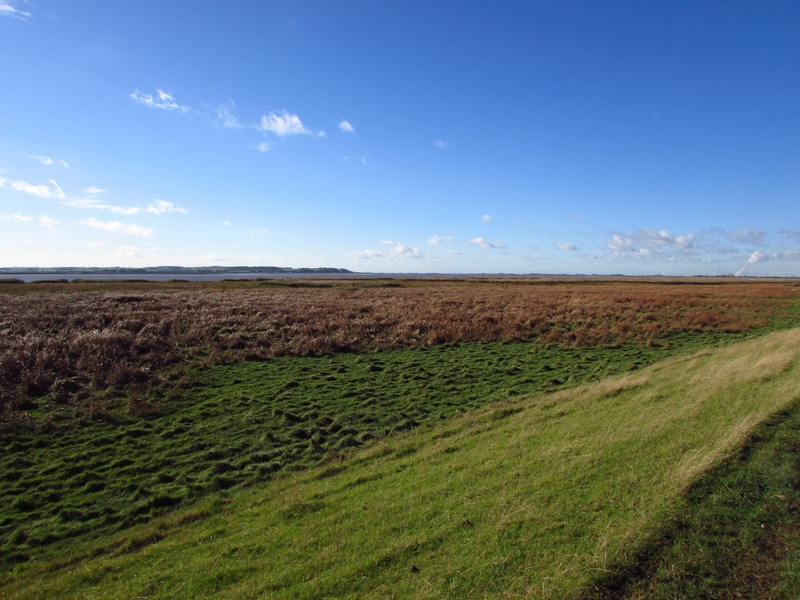 It was sunny, but breezy in the morning and it was the first trip this season that I wished I have brough gloves. 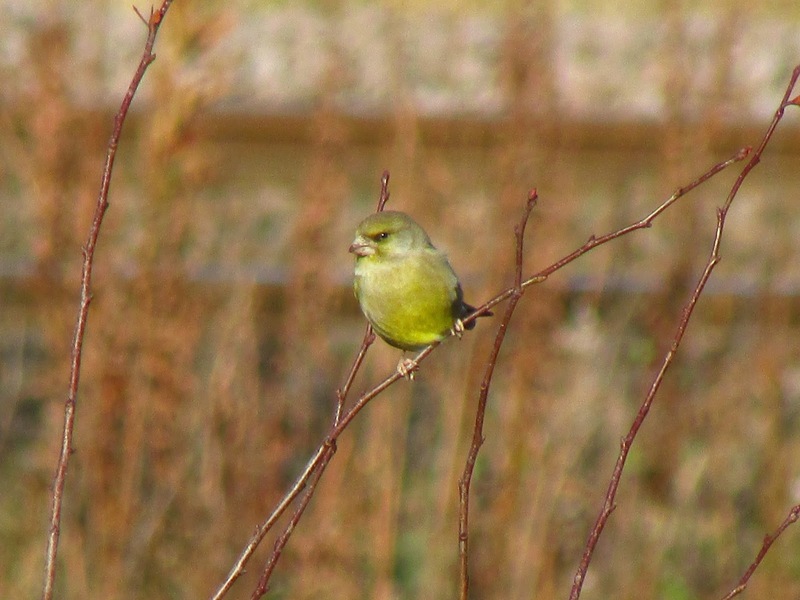 Although it warmed a bit later, the south westerly breeze was relentless. 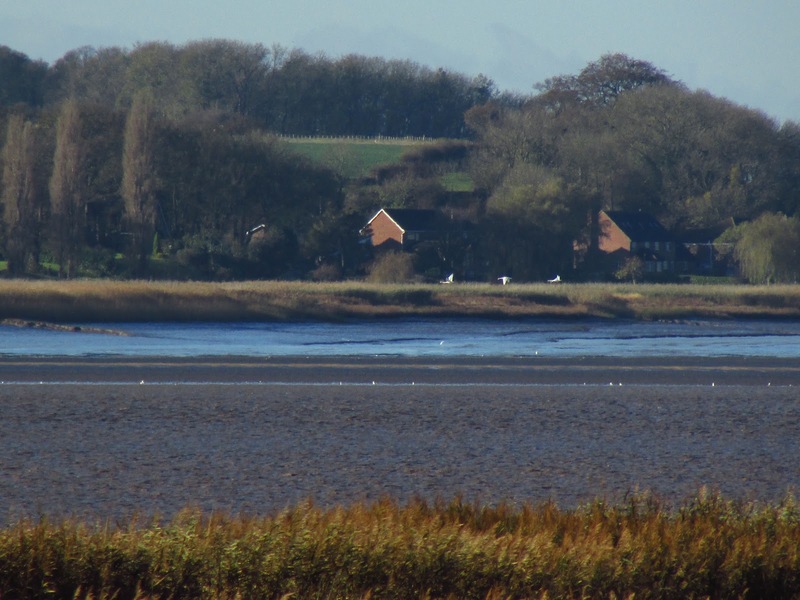 The tide was almost at its lowest as I parked by Brough Haven. 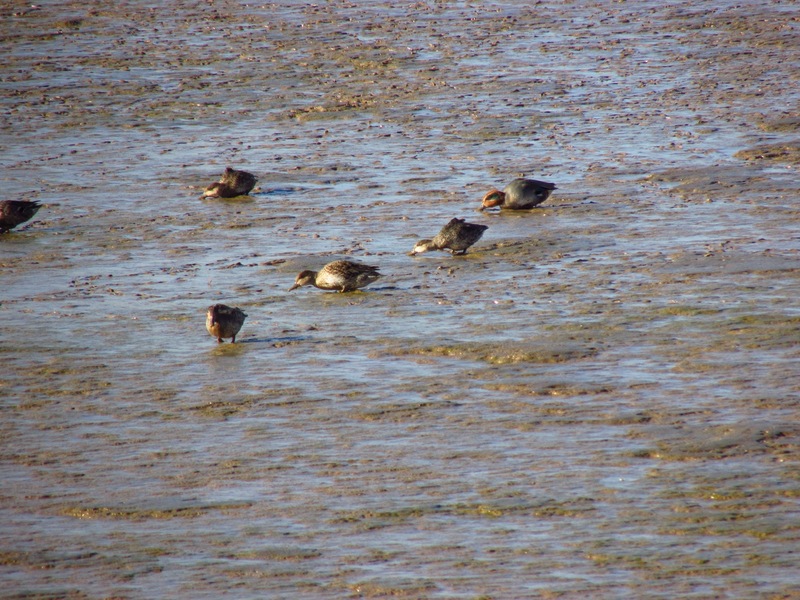 A small group of Mallard, a flock of Teal and some Redshank fed on the mudflats. 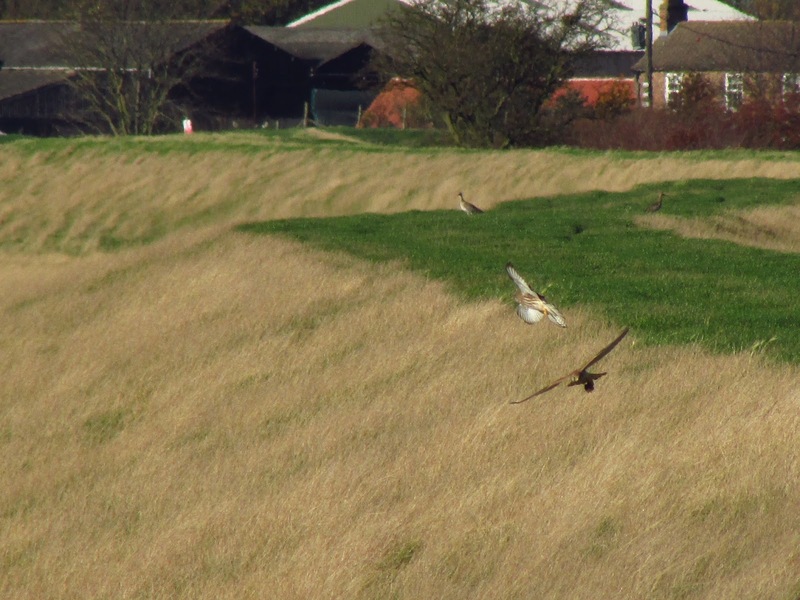 As soon as I pointed my binoculars towards the reed beds, I saw the distant silhouettes of four Marsh Harriers quartering near each other, the highest number I've seen together in East Yorkshire. 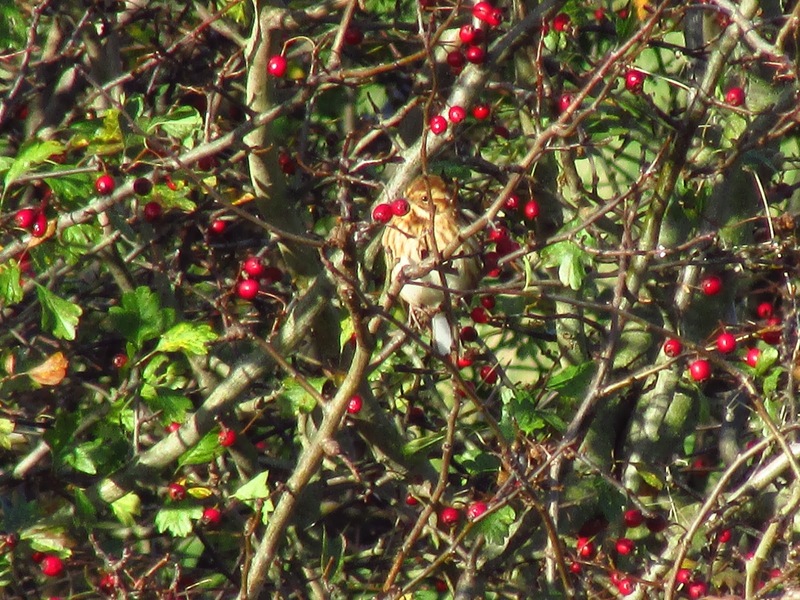 One or several of them were visible through the morning. 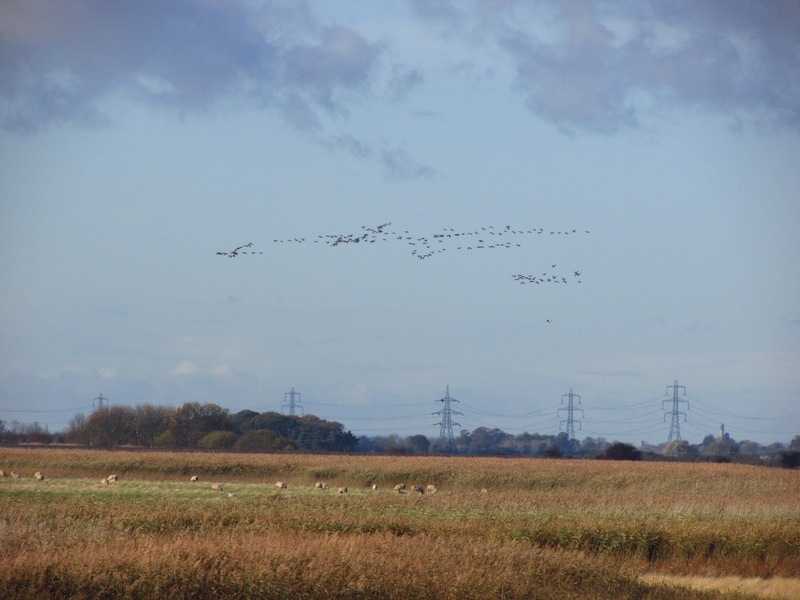 A large flock of geese, far too distant to identify, passed over the Humber, as did some small groups of Swans, which I couldn't ID. 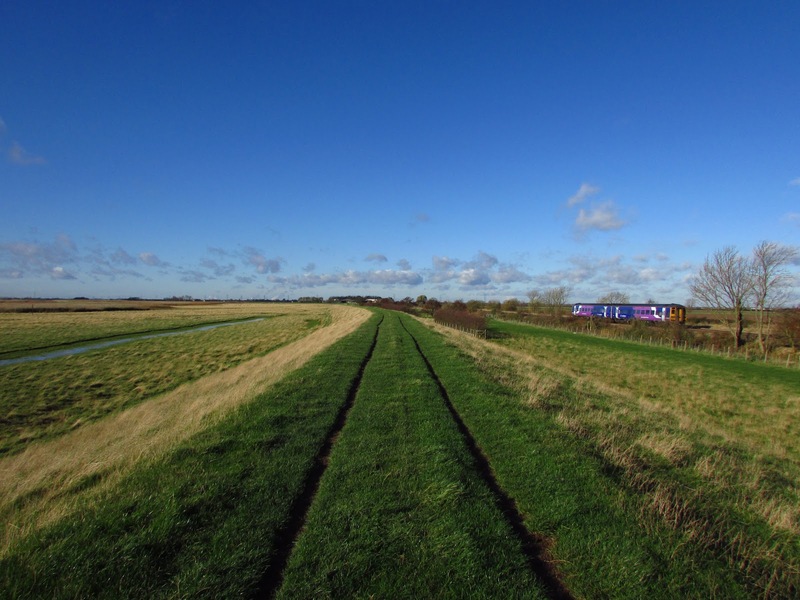 I found the way around Brough Haven onto the flood bank. 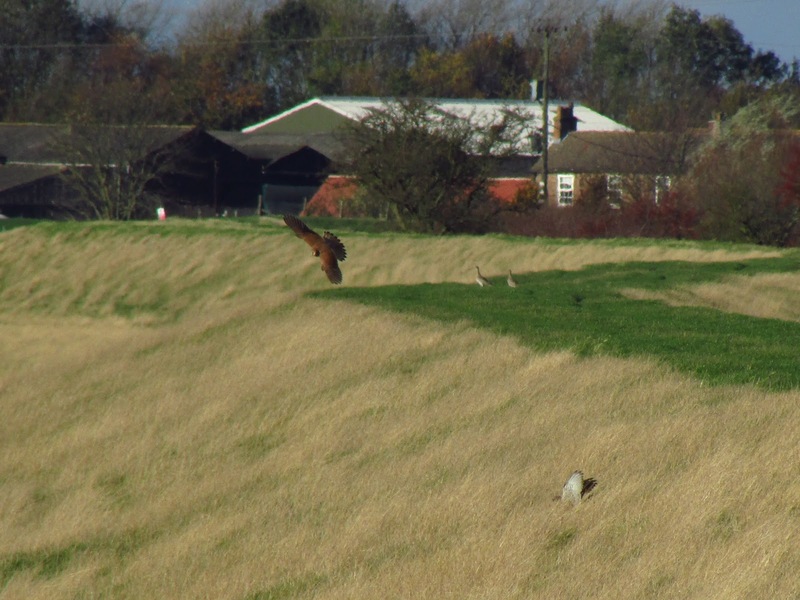 A male Pheasant flew away landing near a group of Curlew. 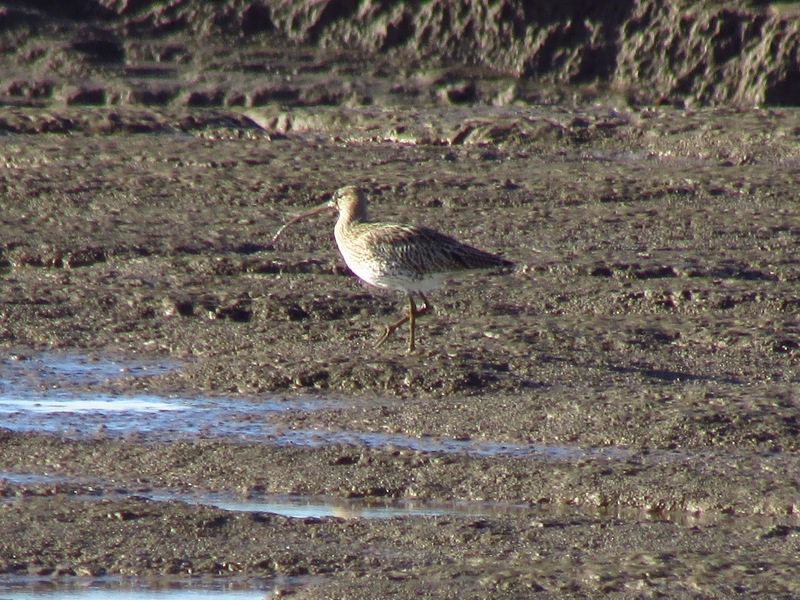 There were good numbers of Curlew around today. 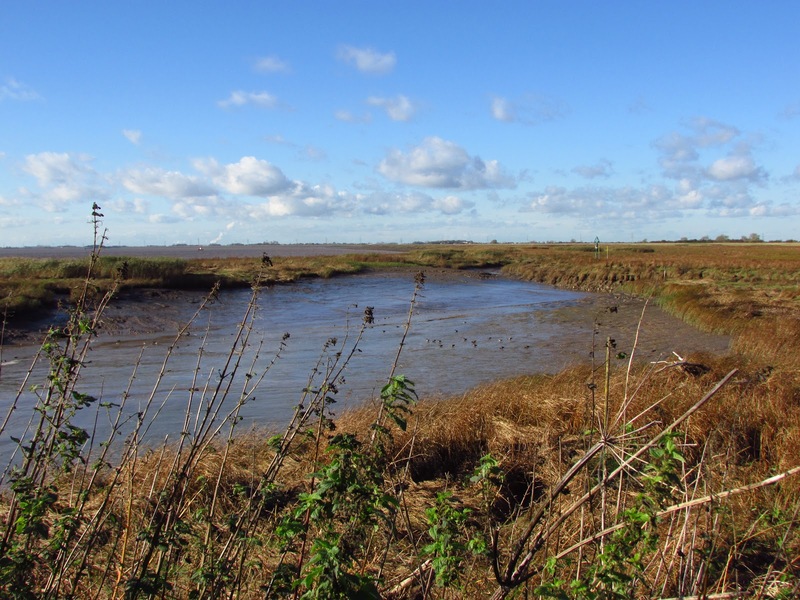 The side of the bank was flanked by wet pasture and large reed beds streaked by muddy creeks and ponds. 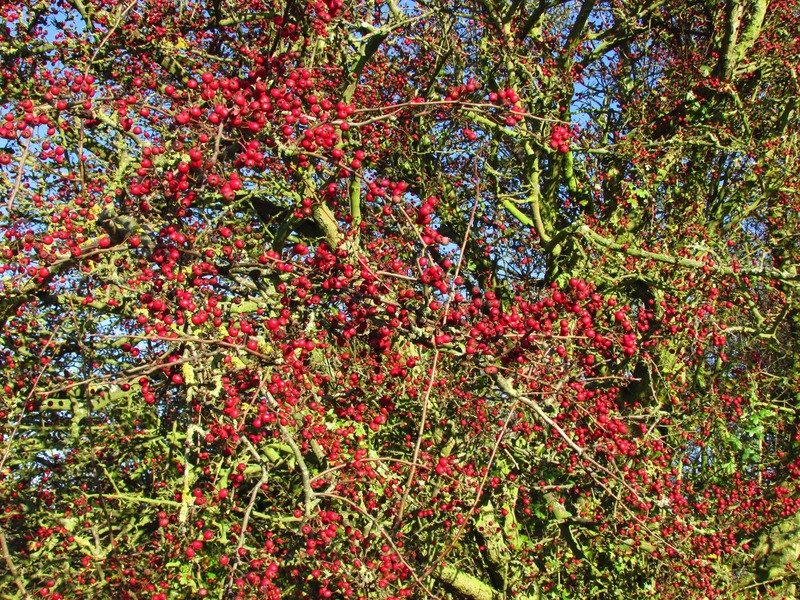 New hedges have been planted, and some mature scattered hawthorns, laden with berries, revealed the position of old hedges. 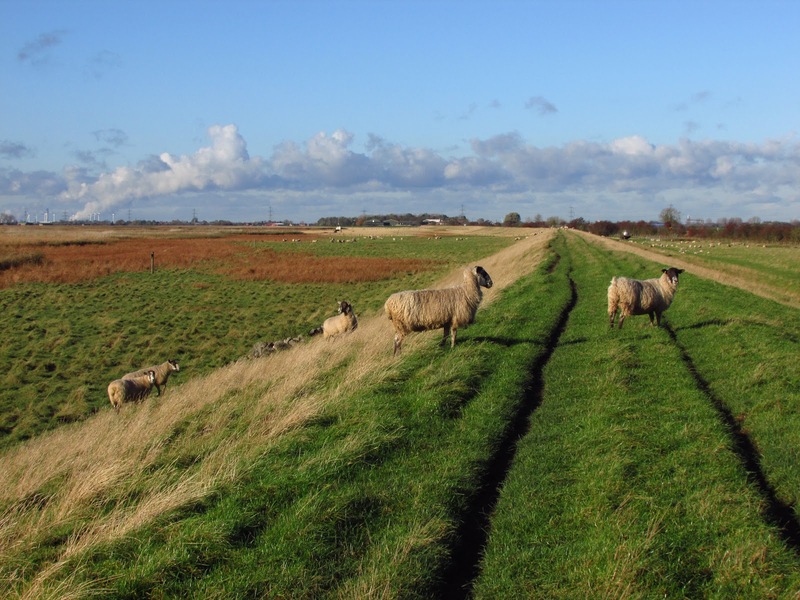 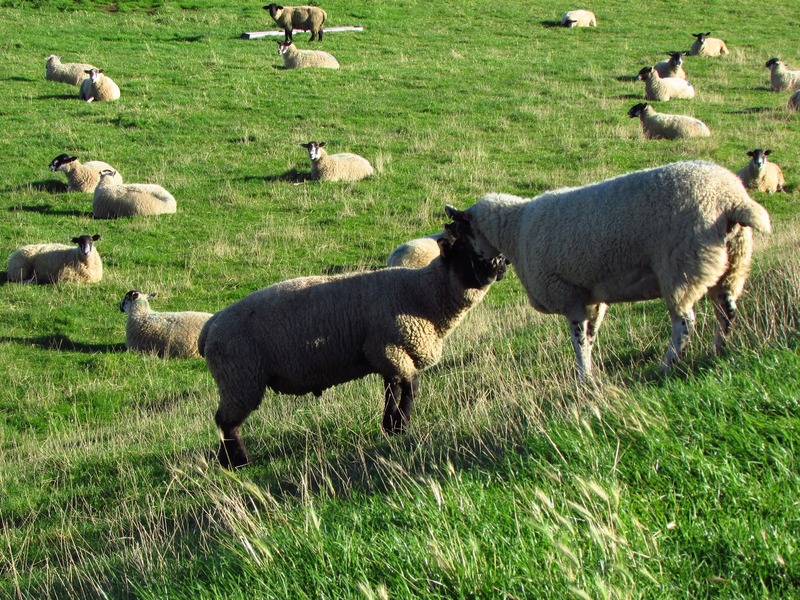 Sheep grazed the bank and the marshland. Meadow Pipits, Skylarks, Pied Wagtails, Reed Buntings and a single Grey Heron flew across the bank. I noticed a Marsh Harrier flying nearby and landing in a visible spot by the path. 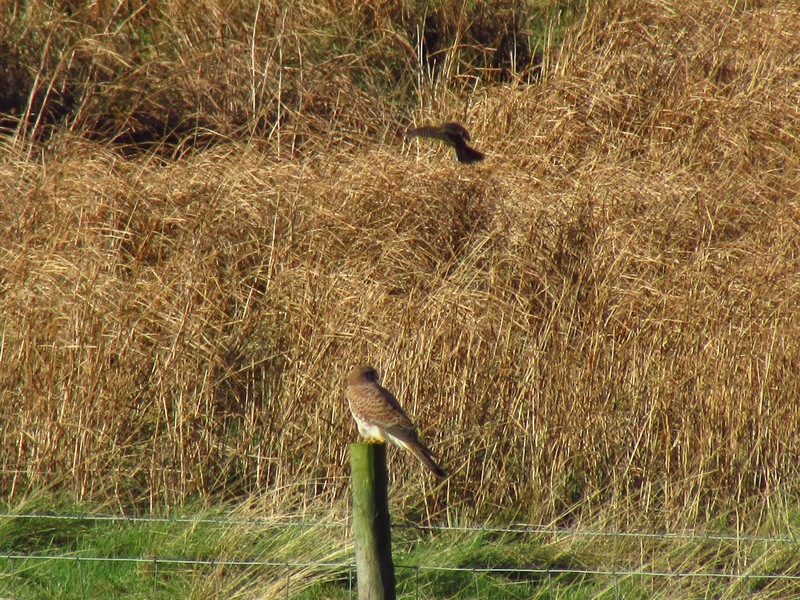 At the same time, two Kestrels appeared to be squabbling over prey on the bank, one of them flying onto the other, which lifted its wings protecting its prey. 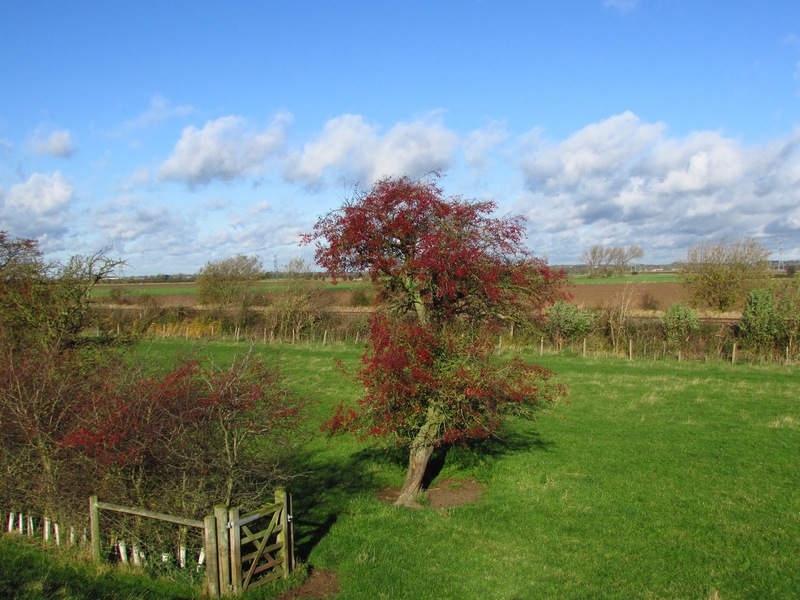 I returned after reaching Crabley Farm. 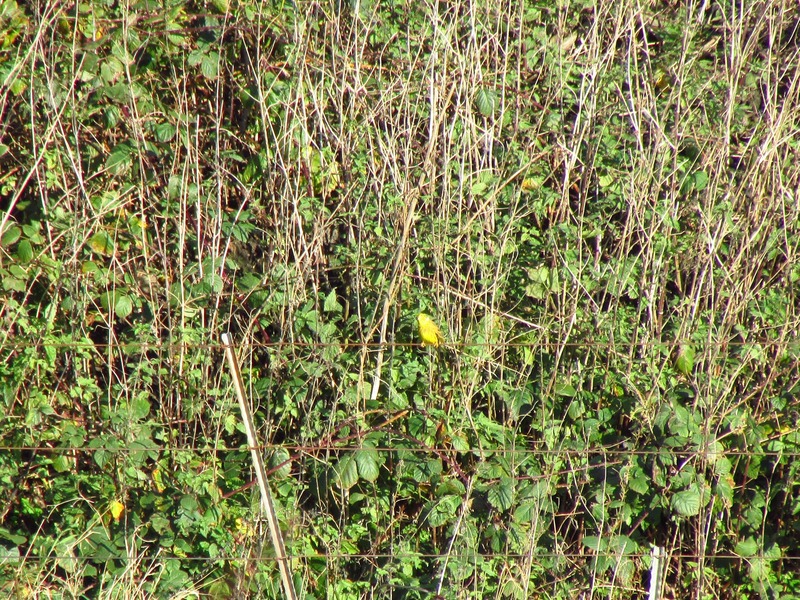 A bright male Yellowhammer flew towards the hedge by the train line. 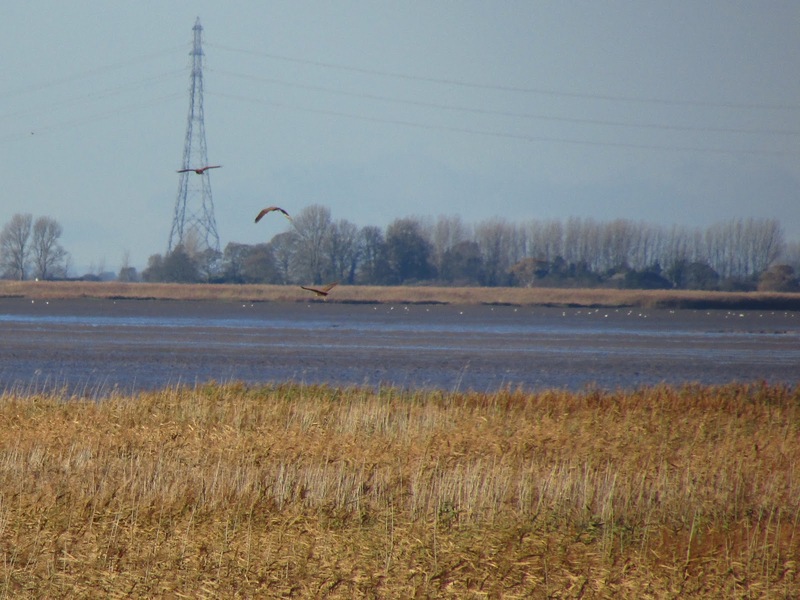 Two Small Tortoiseshell and Red Admiral were flying by the entrance of the Haven. 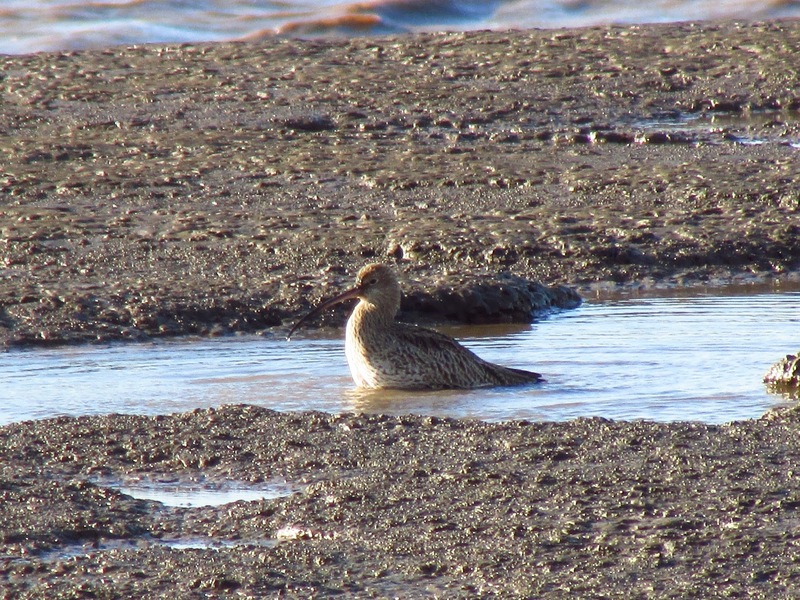 After feeding on the mud and getting a very muddy face, a Curlew started bathing in a pool on the mudflats, putting an end to an interesting outing. 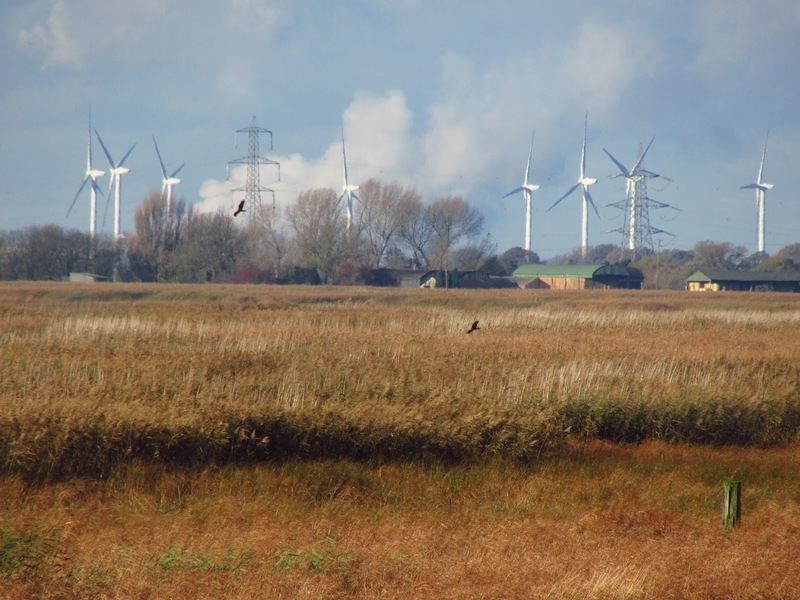 Two Marsh Harriers over the reedbed with Drax and windmills on the background. 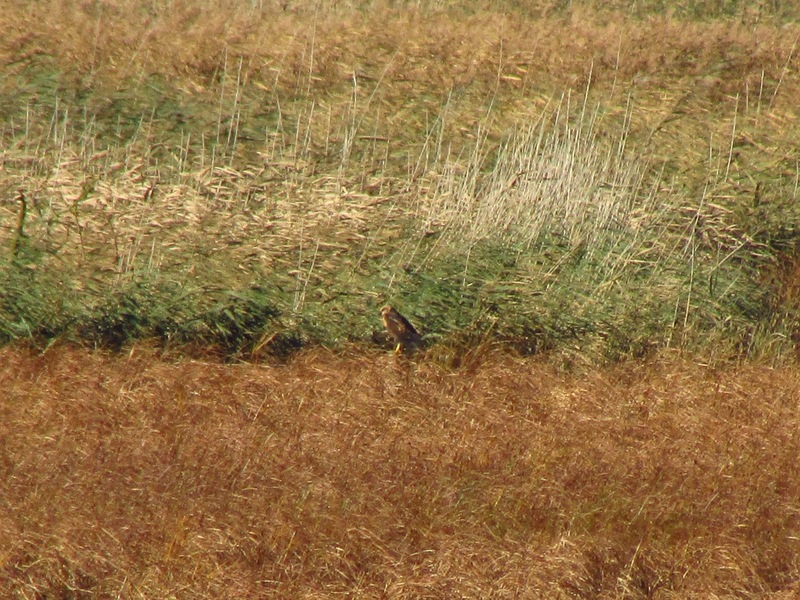 One of the Marsh Harrier stopped briefly by the reedbed.